Good luck to all our fantastic musicianas and their teachers in advance of Thursday's Spring Concert. This is always a memorable event and the culmination of many week's work. 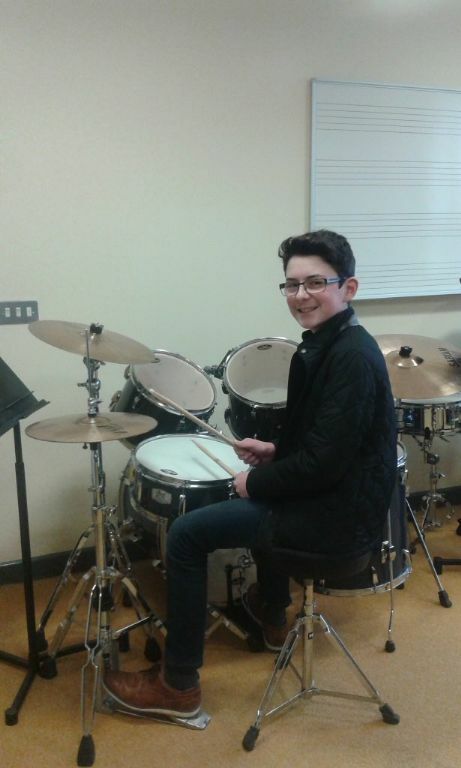 Pictured is Darragh Magee, one of our brilliant young musicians who will entertain us on the drums in the Big Band, Concert Band and Orchestra at Thursday’s Spring Concert.